In light of their comeback with 'The 2nd Album Take.1 - Are You There? ', MONSTA X held a media interview to discuss their current and future plans. While describing their 2nd full album concept, Kihyun hinted, "The answer to the question 'Are You There?' will be answered in our next album, 'Take.2'." To a comment, "You've never won 1st place on one of the big three music programs. 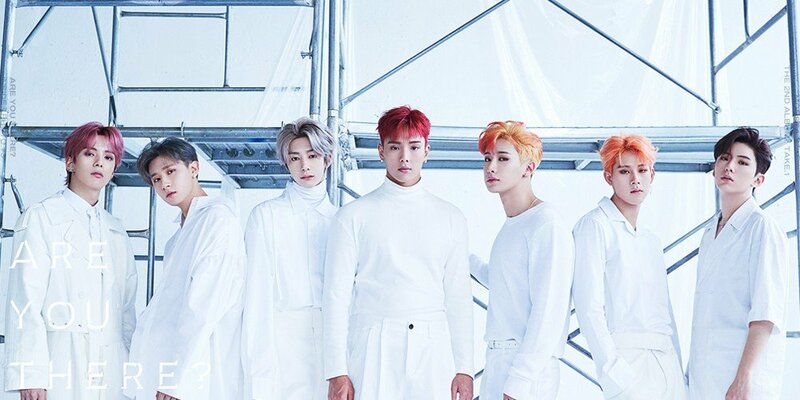 You must have bigger expectations this time," Wonho remarked, "When I looked at us in the mirror as we practiced our choreography, I thought that 1st place would be possible this time around. We looked so charismatic to the point where I thought that it would be unacceptable if we didn't win 1st place. So I gained more confidence. I want to anticipate 1st place." As the members also addressed their goals for their "Shoot Out" promotions, Hyungwon added, "It's not that we're always focussed on winning 1st place for all of our promotions, but this time, I really want it. I would like for our digital score to improve, so that more people will learn about us. There are many songs including Jooheon, Wonho, and I.M's self-composed songs, so I hope people listen to them. I hope that the long and arduous efforts that we've put in will see the light." Minhyuk shared his two cents with, "Of course the scores aren't important, but I would like for our song to chart higher than #40, and for our album sales to surpass 300,000." I.M said, "If MONSTA X were able to garner attention with our last album, then I would like for this album to establish our place in the industry. We've had so many happy things happen and we're spending happy days, so I want the happiness to continue through this album." Do you think MONSTA X will be able to claim their 1st win on a public broadcasting station music program with "Shoot Out"? Monsta X deserve many wins this comeback! MONBEBE are gonna work REALLY hard to make sure they get those wins!! This album was incredible it deserves lots of recognition!